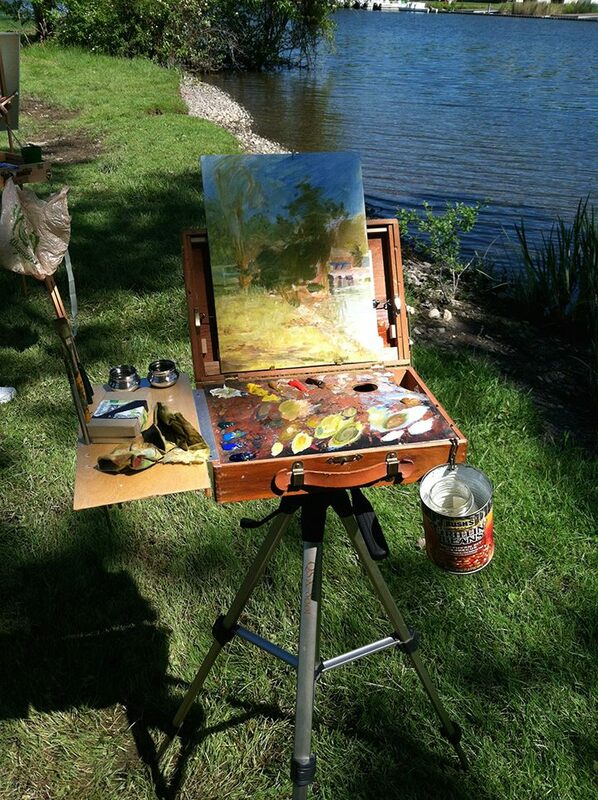 One of my plein air setups. I converted a small paintbox to mount on a tripod and added a shelf that holds brushes, painting knives and other equipment. The shelf tucks inside the lid for travel. En plein air is a French expression which means “in the open air” and is generally used to refer to the act of painting outdoors, It is also called peinture sur le motif (“painting on the ground”) in French. Typically, the painting is done on site, often in one session and depicts the artist’s view from the easel.